In 2000, the ongoing conflict between the Shan state and the Burmese government intensified so that families of raided Shan villages fled the war into the mountains of the Thai-Burmese border. 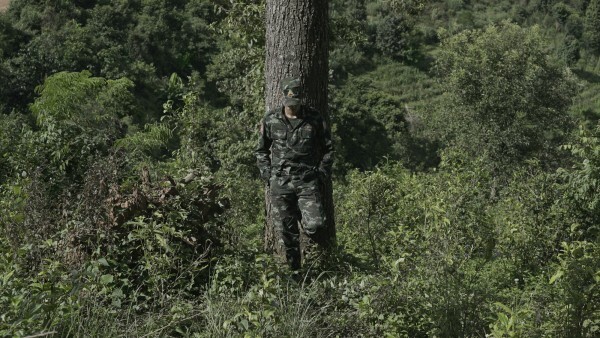 The documentary follows Sang Lod who loses his family and at the age of 18 joins the Shan State Army (SSA) to become a soldier with a lifetime duty to fight for Shan liberation from the Burmese. Sang Lod’s life is –like that of many others–determined by war, the rise of nationalism, ethnocentrism, and abstract borders. He lives in a vacuum between two countries, a liminal space where one remains in suspension. 21 years old and without legal documents to prove his existence or citizenship, Sang Lod faces the choice of either dreaming of a better life that may never come or making his peace with the life he leads in the army. Nontawat Numbenchapol is a documentary filmmaker based in Bangkok. In his work he examines places and people at the edges of Thai society through collaborations and observations. His current work in progress, No Boys Land, explores contested borderlands through the eyes of young soldiers from the stateless ethnic group of Shan.